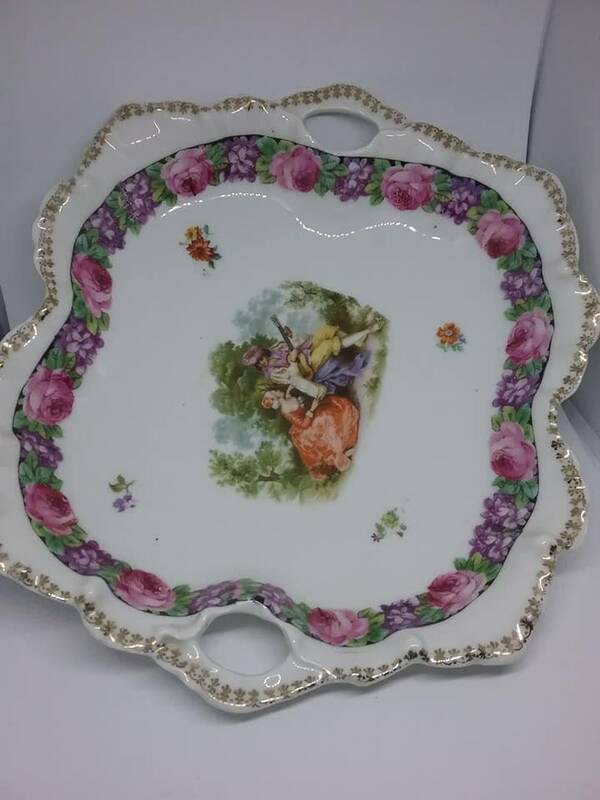 Vintage Prov Saxe E. S. (Erdmann Schlegelmilch) beautiful porcelain dish. 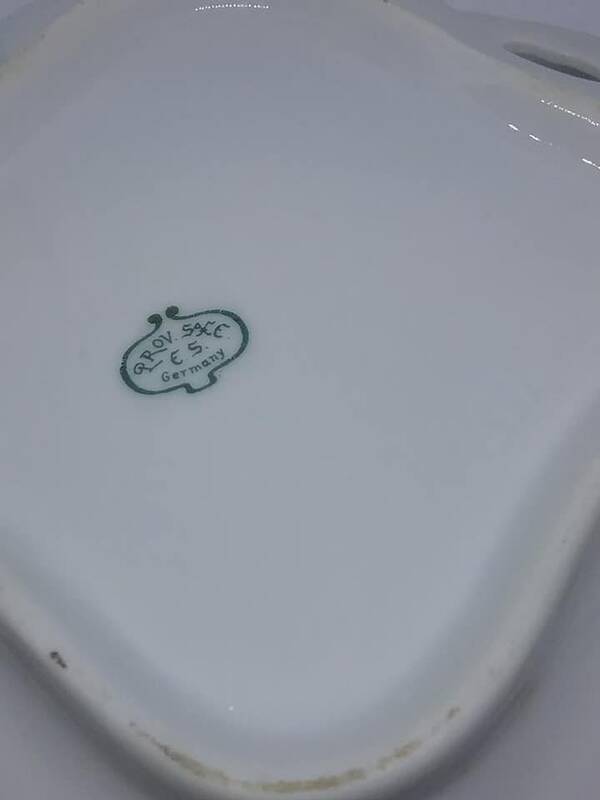 Erdmann Schlegelmilch established a factory in Germany. 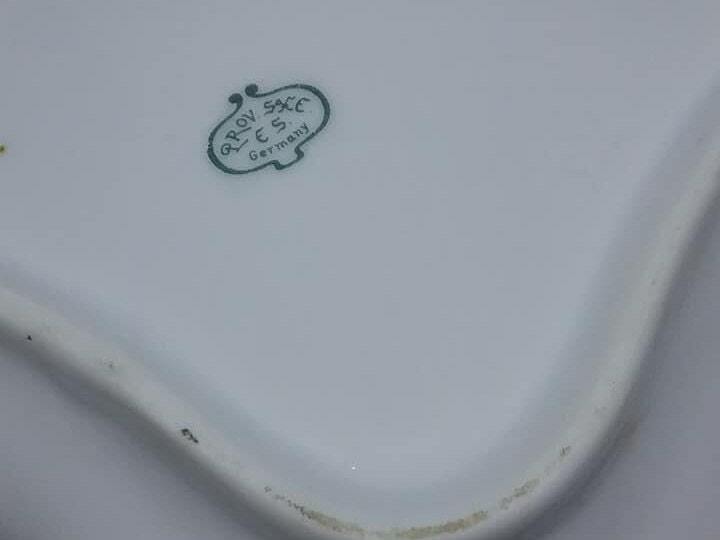 The markings on the back of this plate are dated 1902-1938. 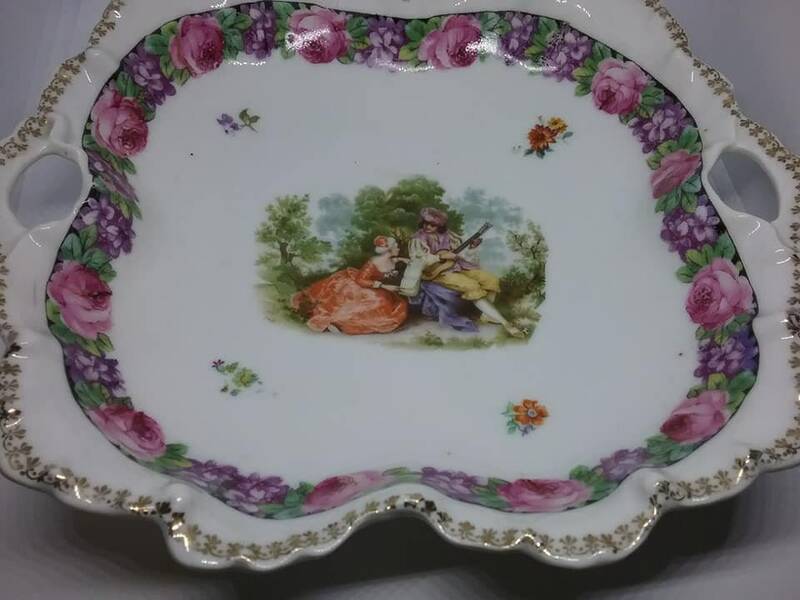 Approx measurements are 7.5" x 8" x 1.5" This delightful bowl has two open work handles. 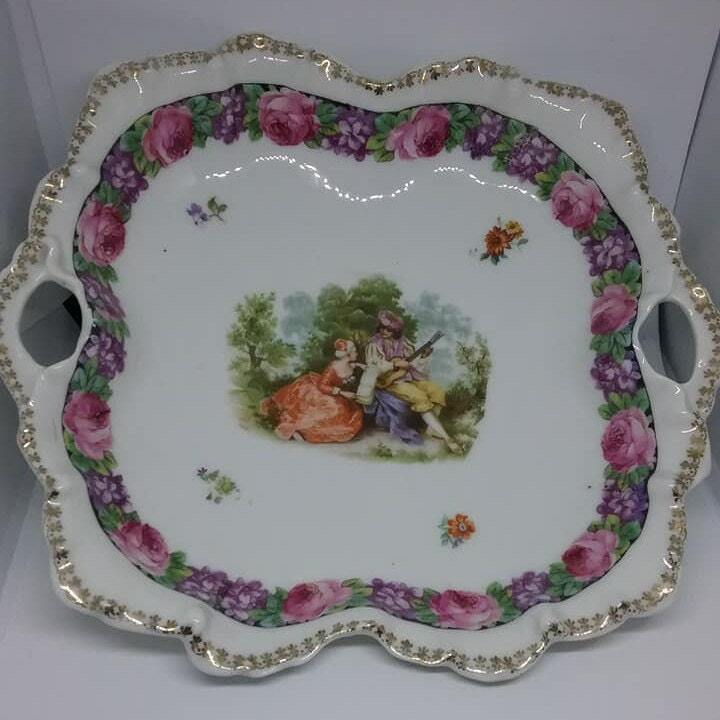 An intricate depiction of a minstrel playing for the Lady at his side. 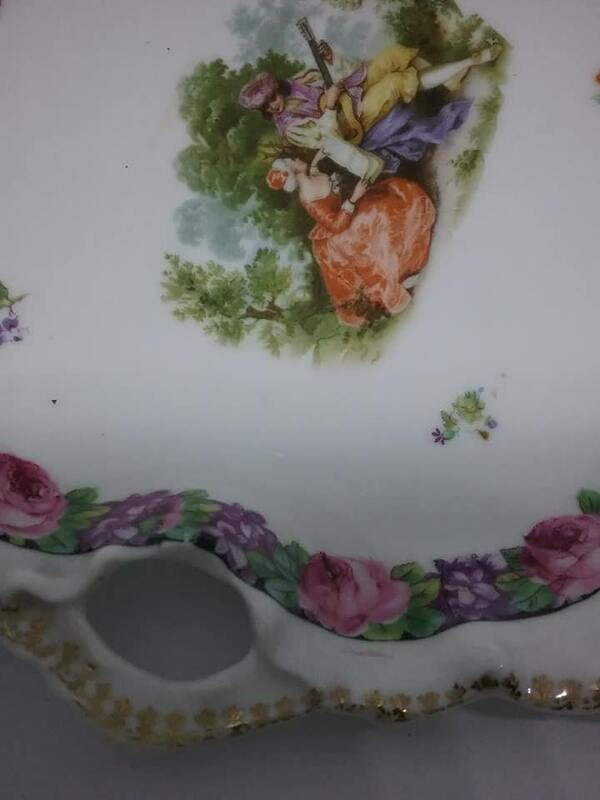 Pink and purple flowers form a band around the inside of the dish, and a gold design around the outer edge. 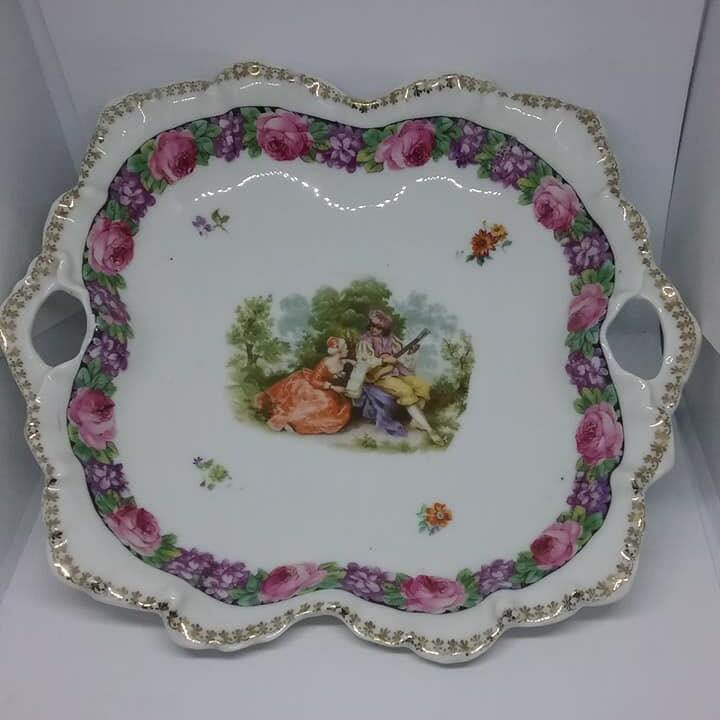 In excellent vintage condition, is this incredibly delicate, stunning, and rare piece, that should be displayed and loved.